Congrats to our friends at the Jacksonville Icemen on their first-ever playoff berth! 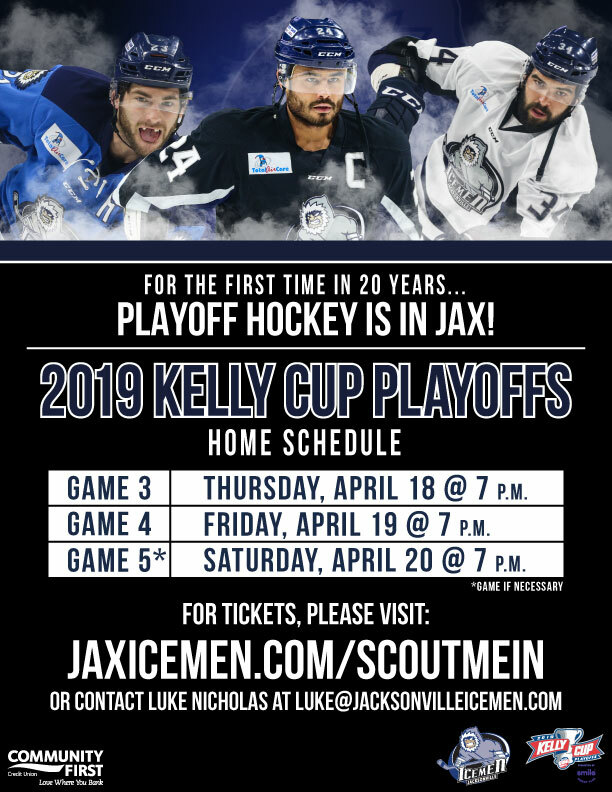 To celebrate their first playoff series, the Icemen say, “Scout Me In!” – and are offering our Scouting families a discounted opportunity to see playoff hockey! CLICK HERE to secure tickets for April 18th and/or April 19th.